"404 Page Not Found" 페이지를 이렇게 센스있게 만들어 놨네요. 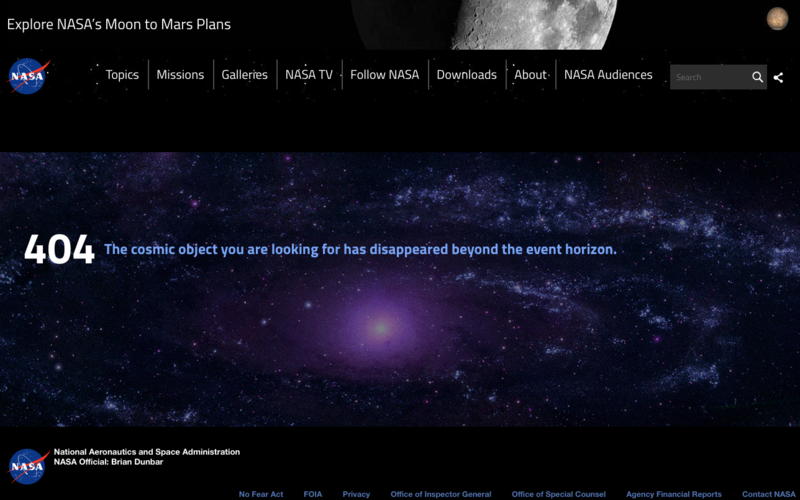 "404 The Cosmic object you are looking for has disappeared beyond the event horizon." 찾으시려는 천체는 사상의 지평선 너머로 사라졌습니다.